Winship Cancer Institute of Emory University and the Lewis Hall Singletary Oncology Center at Archbold Memorial Hospital in Thomasville, Georgia, are teaming up as part of the Winship Cancer Network. Effective today, Archbold will become the first hospital outside Emory Healthcare to join an elite group of community hospitals known as Emory's Winship Cancer Network. The partnership will enhance access to state-of-the-art cancer research and treatment to patients in Southwest Georgia. The Winship Cancer Network was created to improve access to high quality cancer care, the newest research and continuing patient and provider education for affiliate partners in the state and around the Southeast. 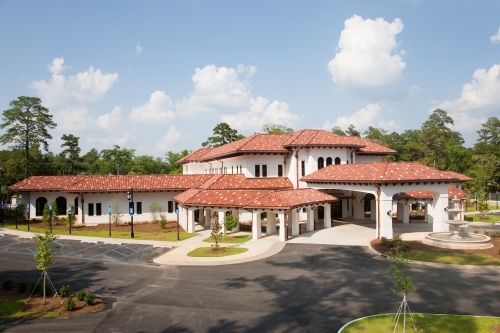 The network will bring together an elite group of community hospitals with Winship, the first and only National Cancer Institute-designated cancer center in the state of Georgia. "We are very excited to join forces with the excellent physicians and clinical staff at Archbold," says Walter J. Curran, Jr., MD, Winship's executive director. "Patients will benefit from access to expedited second opinions for selected patients and to enrollment in selected Winship clinical trials while receiving treatment and therapy through their local doctors close to home." Through the partnership with Winship, eligible Archbold oncology patients will now have access to more than 250 existing therapeutic clinical trials and research by top clinicians and researchers from around the world, in many cases without having to travel to metro Atlanta or other large cities for access to cutting edge investigative treatments. "The clinical research partnership with Emory's Winship Cancer Institute is such a great thing for patients in our region," said Archbold oncology clinical research director Teresa Coleman, MD. "Our existing program is already very strong and currently offers more trials than any hospital in the South Georgia/North Florida region. Through the Winship Cancer Network, Archbold oncology patients will now have access to the largest unit in Georgia for phase I clinical trials, which are very important in introducing new therapies against cancer. It’s really incredible what this partnership will mean for patients in our region." The physicians and patients in the Winship Cancer Network also will benefit from direct access to Winship's multidisciplinary cancer meetings for collaboration in cancer treatment. Physicians, nurses, and clinical research staff in the network can also leverage opportunities for specialized training at Winship.